The instance Crocodile encounters : And More True Stories of Adventures with Animals., Brady Barr, (ebook) represents a material embodiment of a distinct intellectual or artistic creation found in Charlotte Mecklenburg Library. This resource is a combination of several types including: Instance, Electronic. And More True Stories of Adventures with Animals. 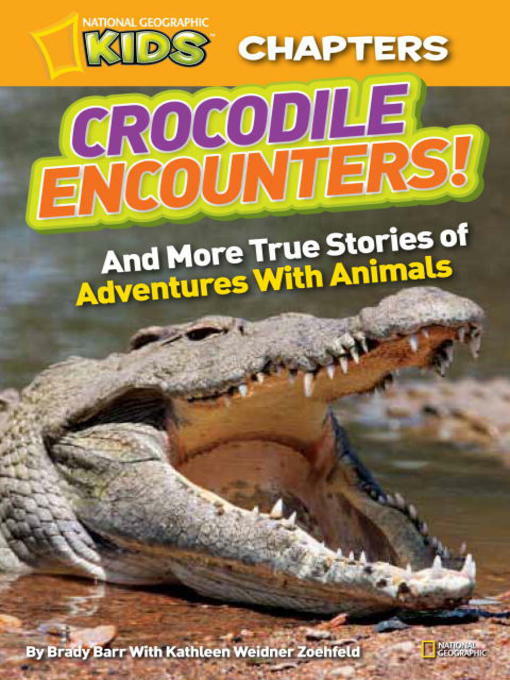 Crocodile encounters : And More True Stories of Adventures with Animals.